B&M’s GM 700R4 Holeshot 2400 transmission package is a convenient way to make sure you have everything needed to install your new transmission. 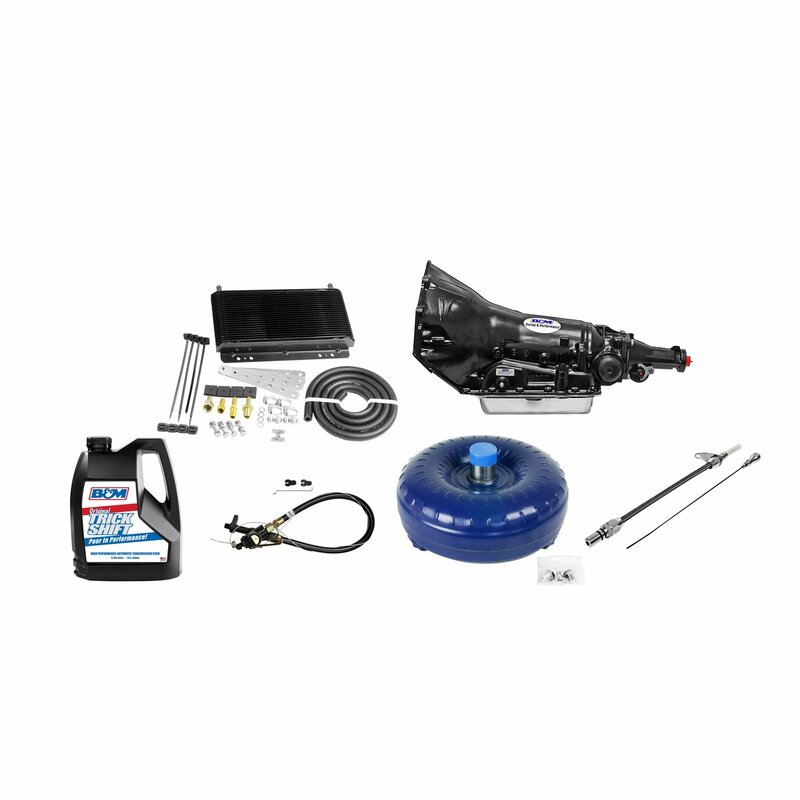 This package includes the transmission, a 2400 stall Holeshot converter, kickdown cable, dipstick, large Supercooler and 3 gallons of Trick Shift Fluid. The transmission does not replace the 4L60E.